This commentary is by Brian Dubie, who served as Vermont’s lieutenant governor from 2003-2011. He is a pilot for American Airlines and lives in Fairfield. What do you think of when you think of an industrial wind project? 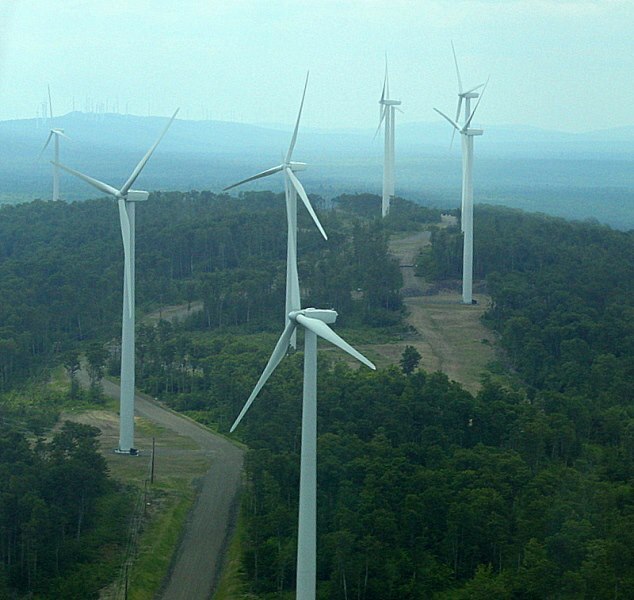 Wind developers want you to think of free, green electricity. People who live near industrial wind turbines think of noise. Let’s see why. So, when you think of industrial wind turbines on a ridge line, envision an airport with a line of airplanes that are holding for take-off. The airplanes are powered by chainsaw engines that have run up their engines to full power. But, unlike planes at an airport, the turbines never take off. Now, imagine this at 2 in the morning. Continue reading here…..
← 2ND TIME TODAY!!! Climate Modeller says Mathematical Error put blame for Climate Change on CO2.